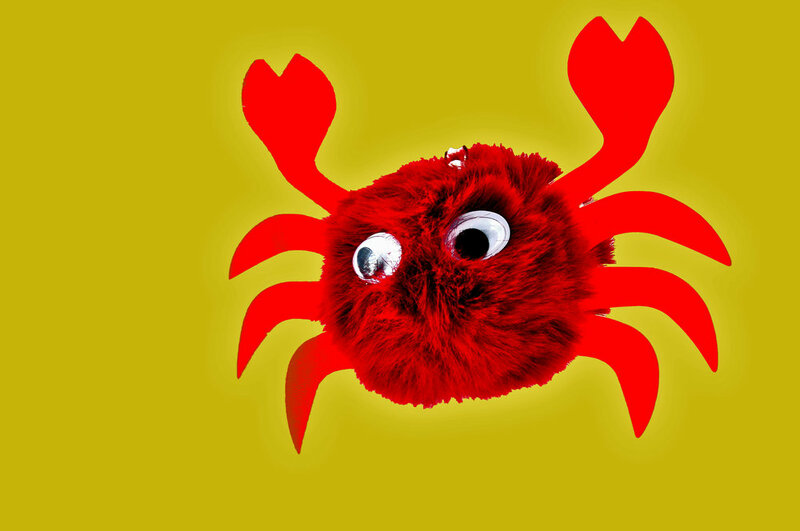 This crawfish is a large bag element made from fake fur and imitation leather (arms). It was produced in different colors. Its eyes are moving, their color can be freely chosen. A real eye-catcher for any fashionable bag owner.